Suzanne and Dean travelled from Dunedin in New Zealand to elope at Portside Wharf with the P&O cruise ship glimmering in the background. 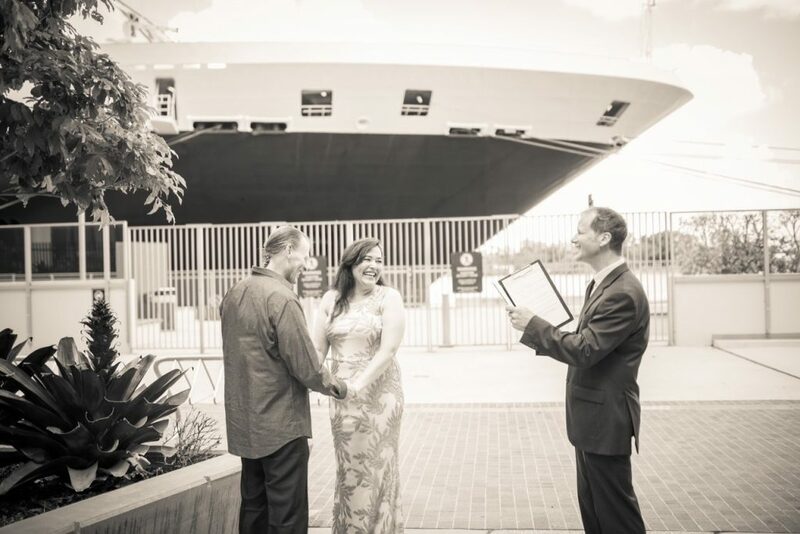 Their PO cruise ship elopement was relaxed, short and full of love. The wedding took place exactly 10 years from the date they became a couple and they opted to exchange surprise gifts to each other, with Dean gifting Suzanne a memory charm bracelet, and explained how each individual charm represented her and their relationship together. Following the ceremony the excited newly weds enjoyed some photos along the wharf with their Photography Camera Boy before jumping on the P&O cruise ship together for a week long celebration. 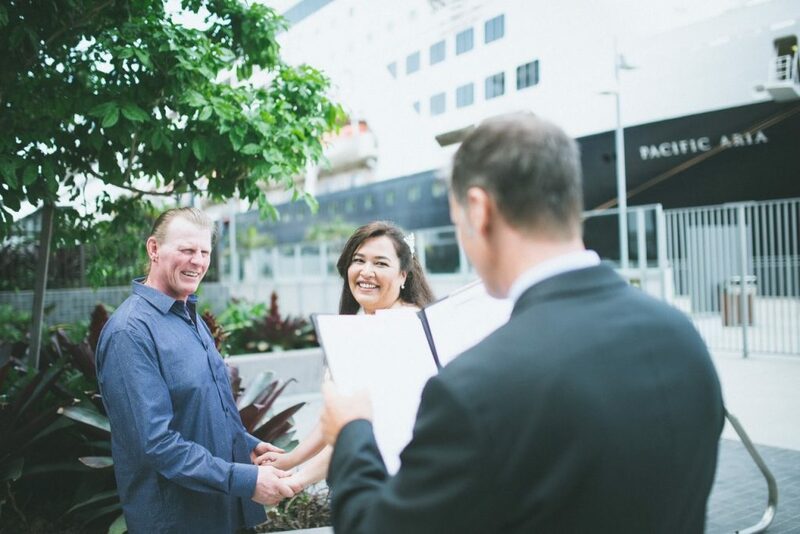 If you enjoyed hearing about this P&O cruise ship elopement and are looking for a Celebrant for your wedding or elopement in Brisbane, Jamie would love to hear from you contact Celebrant Jamie Eastgate to confirm availability for your special day.